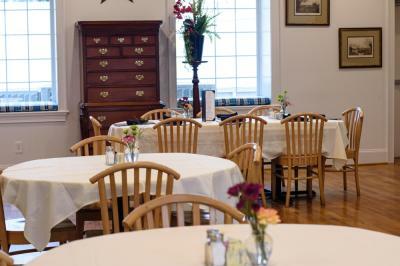 Restuarants with private rooms for meetings in Johnston County, NC. Sometimes a restaurant with a private meeting room will work perfectly for a group gathering or catered meal for small groups. Several options are available from family-style at Holt Lake BBQ, buffet style at Golden Corral, or something more upscale at Manning’s in Downtown Clayton or Texas Steakhouse, located next to the Carolina Premium Outlet Center in Smithfield. Pictured above is the chef at Clayton Steakhouse working the line and serving up a house special!